I recently had the opportunity to go on a Vision Trip with Compassion International to Kenya. Even though I’ve been back for a few weeks now, the things I experienced continue to impact me every day. The story that continues to inspire me the most involves a young man, a piece of candy, and a lesson in generosity. Whenever you go on a trip like this, you can’t help but fall in love with the kids. They run to see you, they hold your hand, they want to be held, and they rub your arm hair. Rubbing your arm hair may just be a Kenya thing. I’m not sure, but they’re excited to be around you. Throughout each day I found there was always one or two kids that I especially connected with for whatever reason. On one particular day, we drove two hours outside the city of Nairobi to a very rural area to be with children who were part of the Maasai tribe. 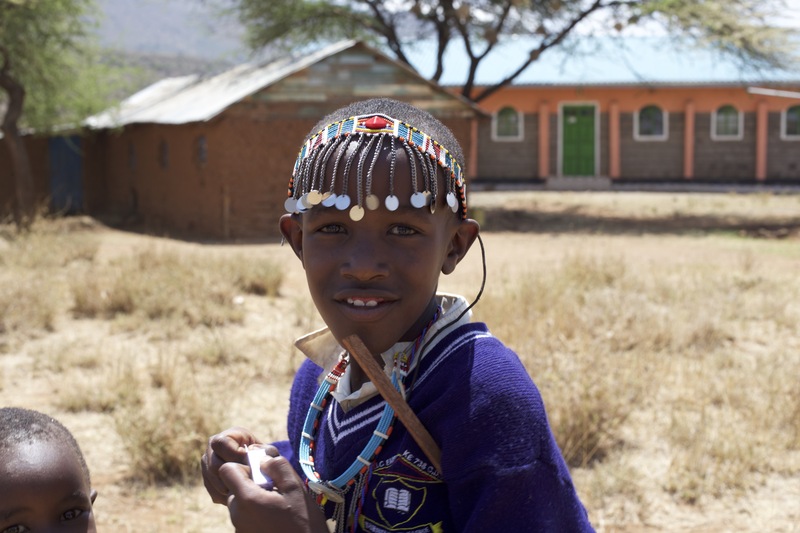 The Maasai are known for very intricate bead jewelry, and many of the kids were wearing bracelets, necklaces, and other pieces of jewelry. I told one young man I really liked his necklace, slipped him a piece of candy, and went about my day not thinking much about it. Our group went on to explore the grounds, which included the church and school there, and later went to visit a child’s home so we could get an idea of how they lived. In every home visit we made throughout the trip, I was constantly amazed by the conditions that these kids and their families are living in. This particular home was made of mud and sticks and may have been a hundred square feet total with a five-foot ceiling. As we walked back to the project for lunch that day, the young man who I’d complimented on his necklace and given a piece of candy to came up to me with a gift in return. He handed me his necklace. The necklace he had spent hours on making by hand. The necklace, which was one of only a few possessions he would even have. I was overcome with emotion and blown away by his generosity. I told him I couldn’t take it, but he insisted. I had blessed him by giving him a simple piece of candy, and he decided to bless me back by giving me much more than I deserved. I’ve always felt like I was a generous person. I’m learning that I have a long way to go. Have you ever been blown away by someone’s generosity? I’d love to hear the story. Make sure to leave a comment below, and if you haven’t already, make sure to subscribe to the blog to get tips on church growth, leadership, and more delivered to your inbox each week.